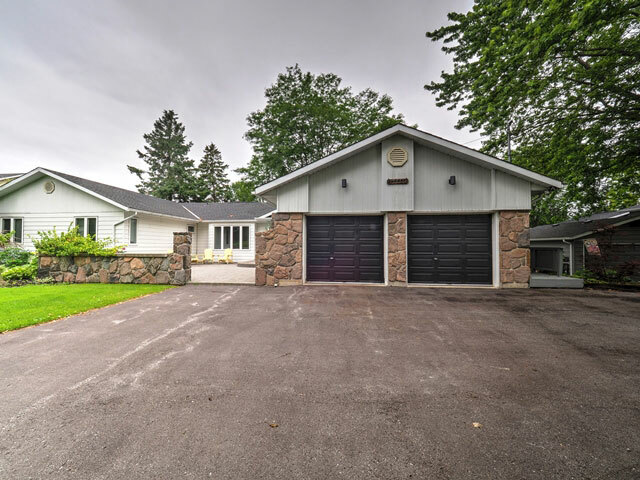 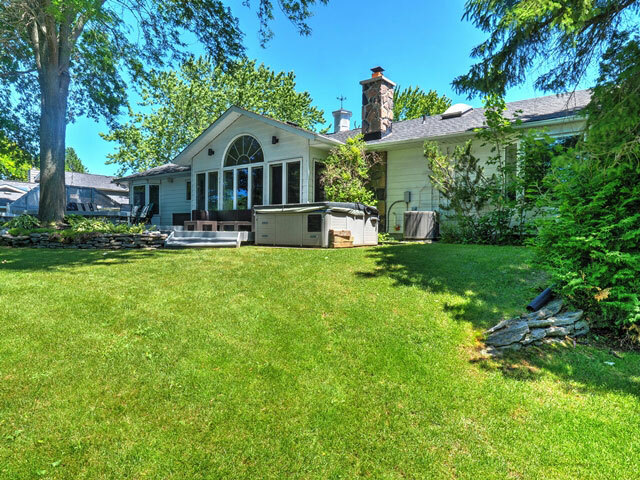 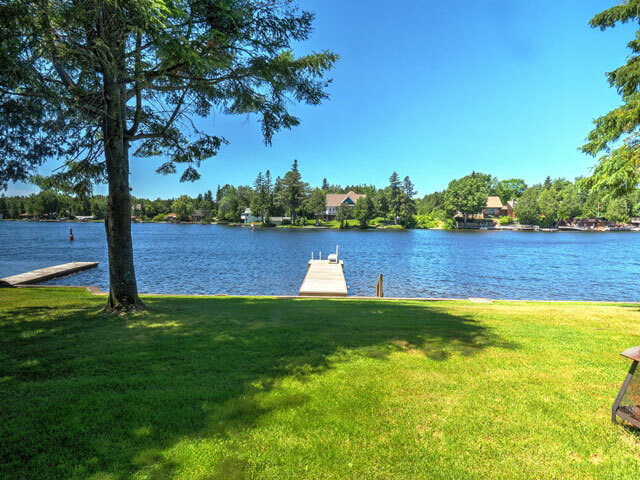 37 River Drive, Sturgeon Lake - Kawartha Waterfront Realty Inc. 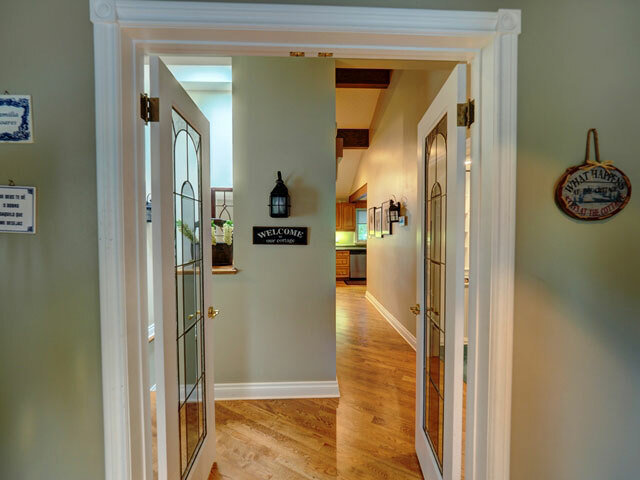 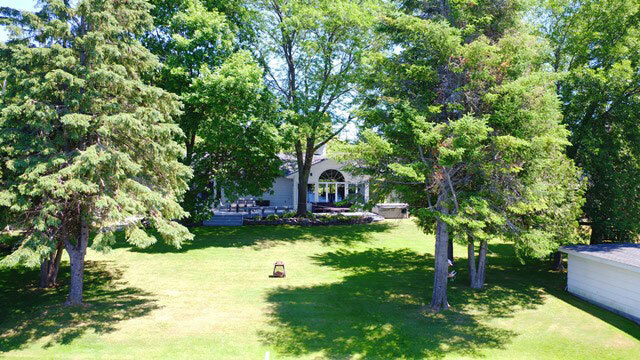 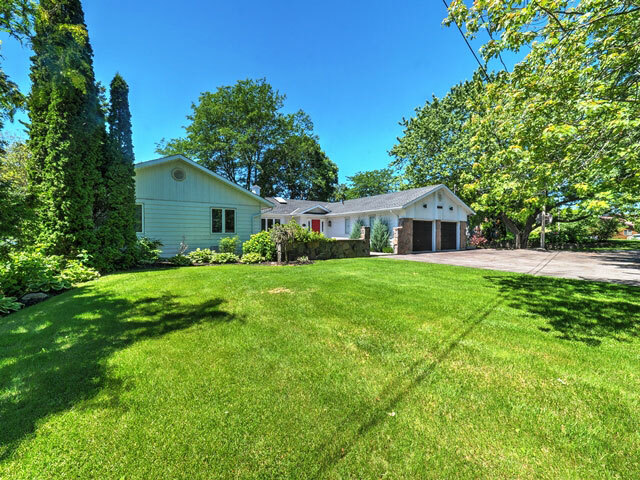 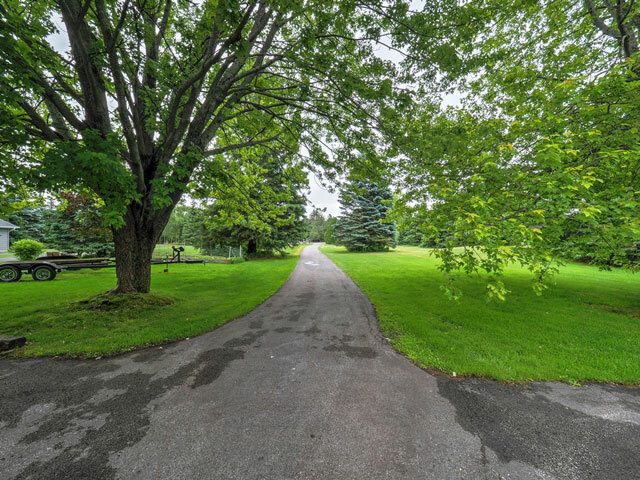 This is an exceptionally elegant property on prestigious River Drive, just outside of Fenelon Falls. 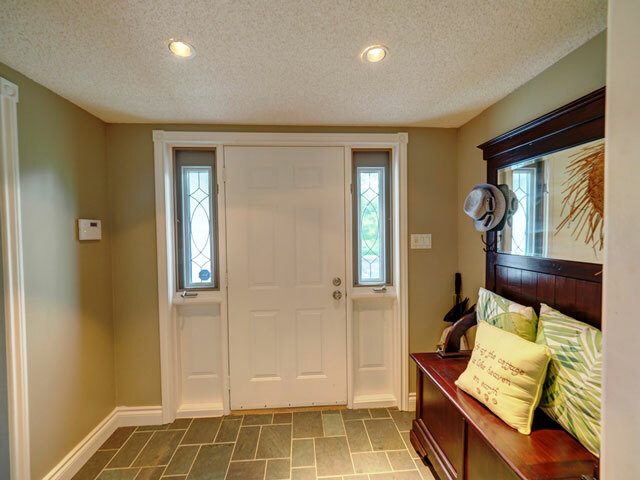 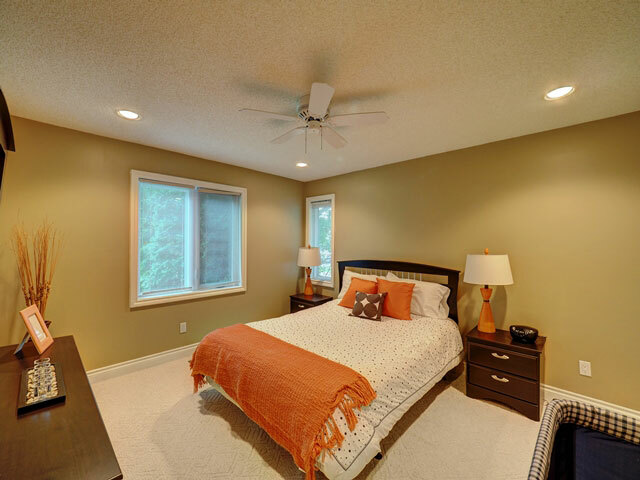 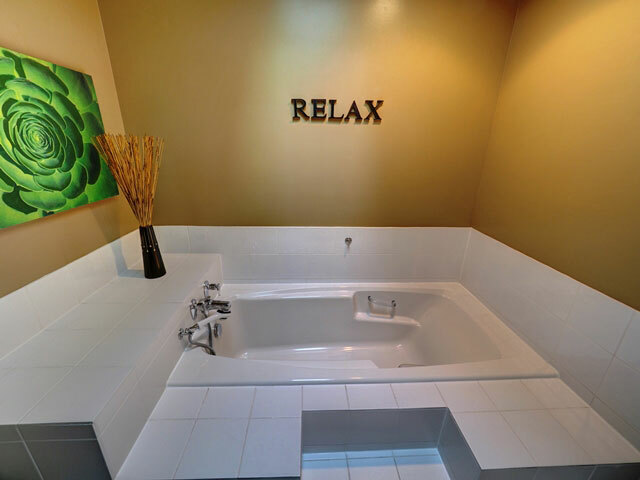 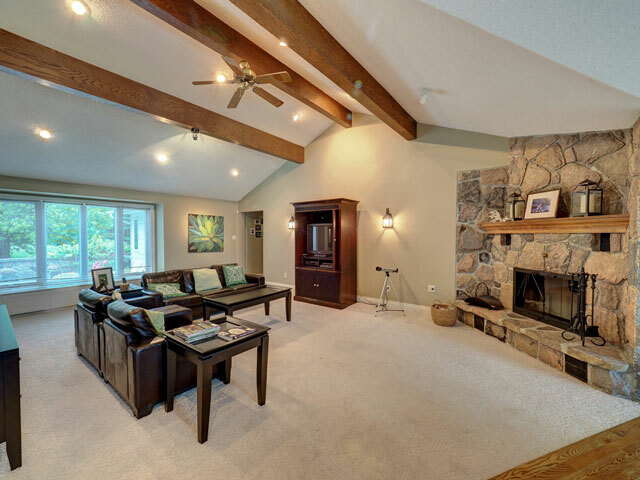 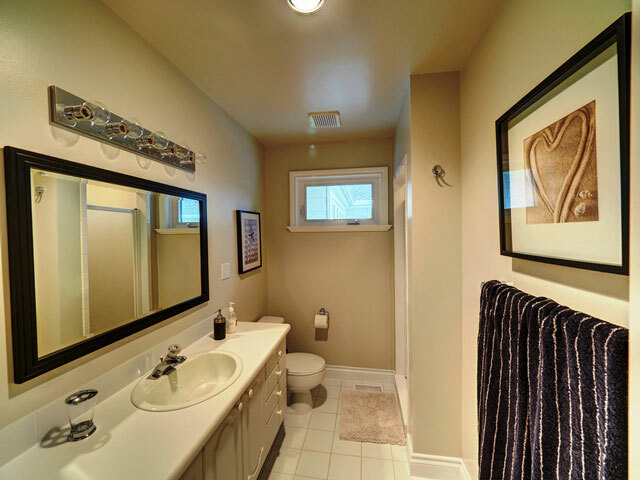 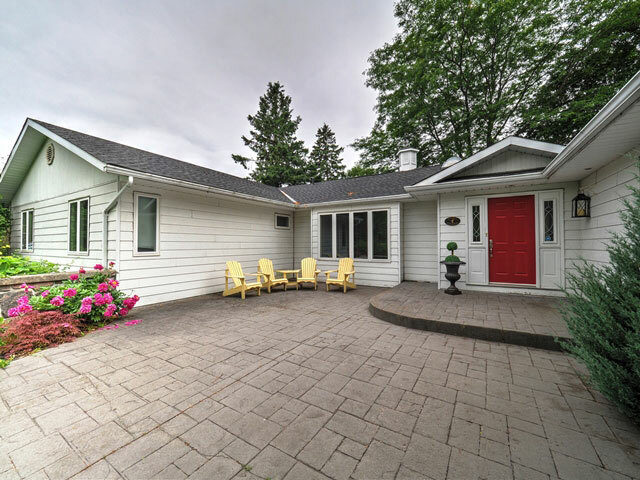 A Ranch-style executive home with four large bedrooms including a main floor master with ensuite and walk-in closet. 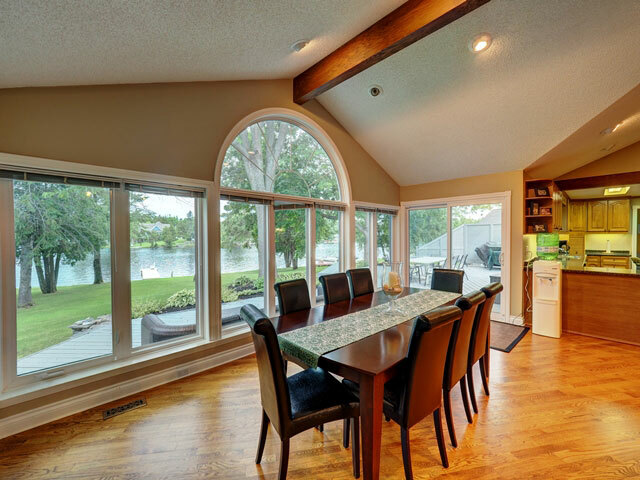 The main living and dining areas have vaulted ceilings, expansive views of the waterfront and a walkout to the very large wrap-around deck. 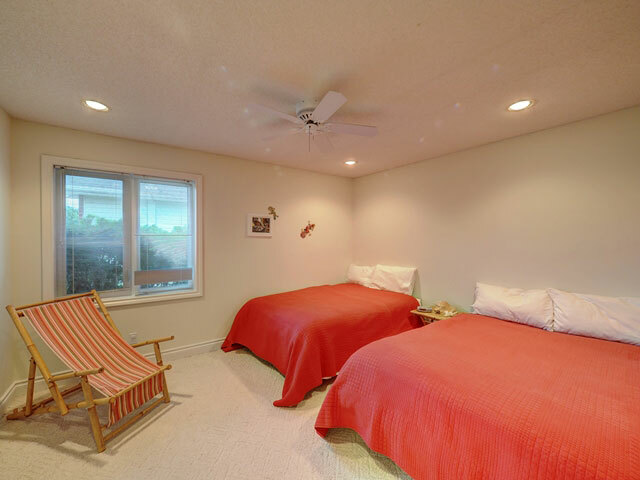 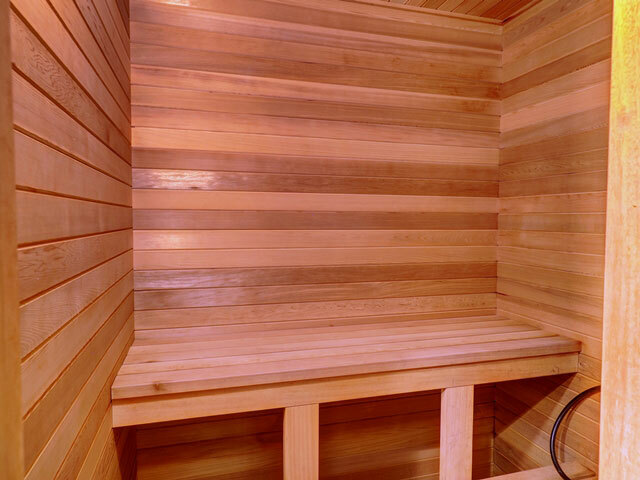 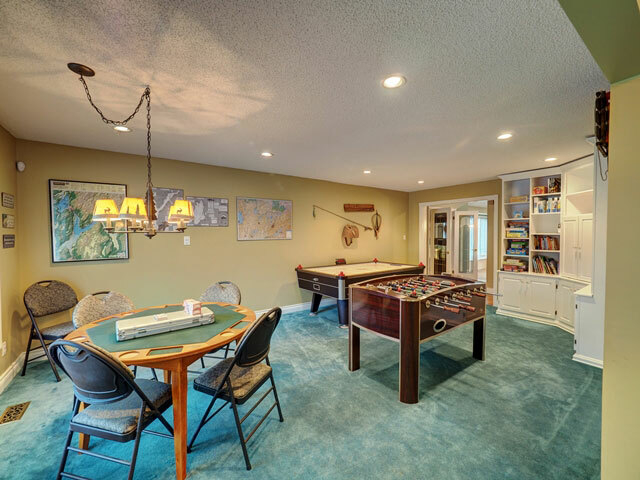 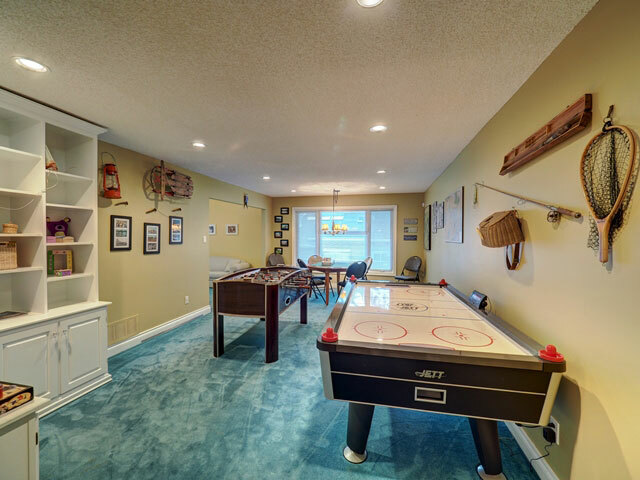 Separate games rooms for adults and children, a sauna, and an attached double garage are additional features. 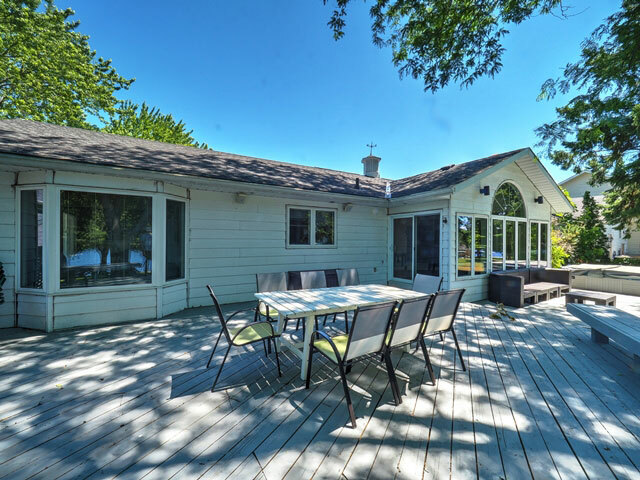 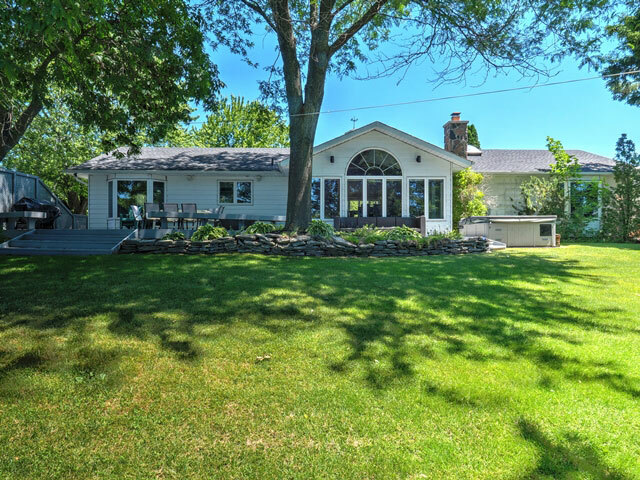 This year-round cottage/home is located on a large one-acre lot that is beautifully landscaped with perennial gardens and mature trees, with an underground sprinkler system throughout. 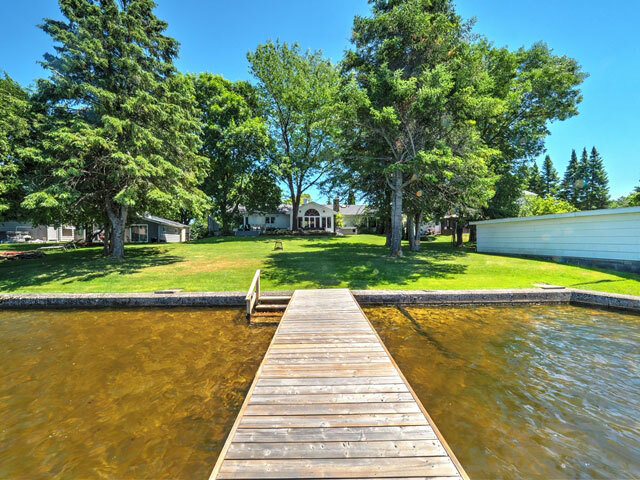 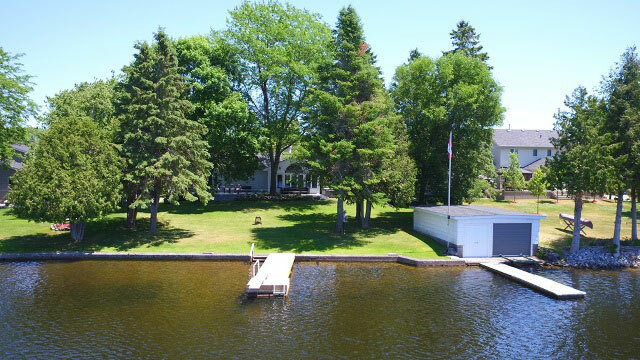 The waterfront is west-facing and has a perfect combination of shallow sandy bottom at the near-shore, and deep weed-free water off the end of the two docks. 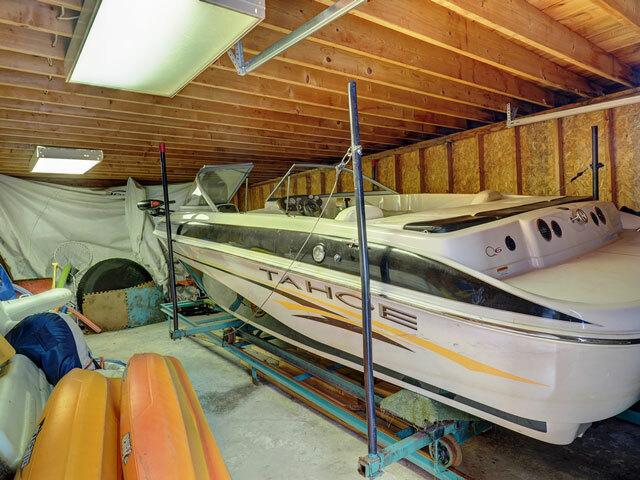 The boat house with marine rail can accommodate boats up to 20’ in length. 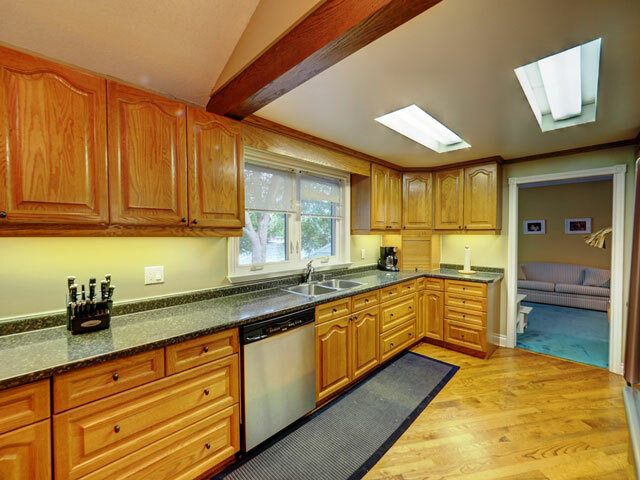 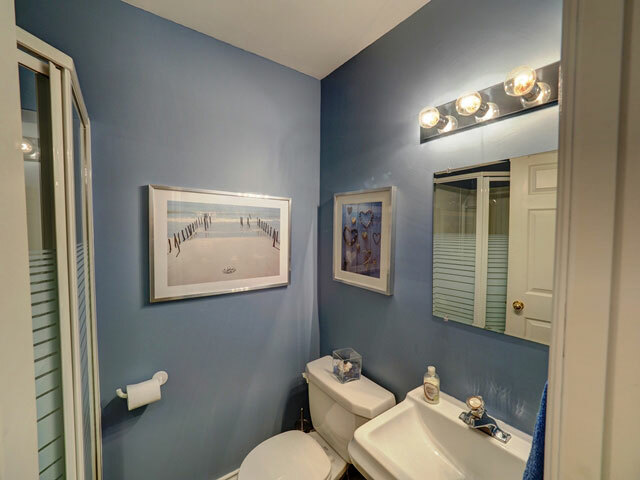 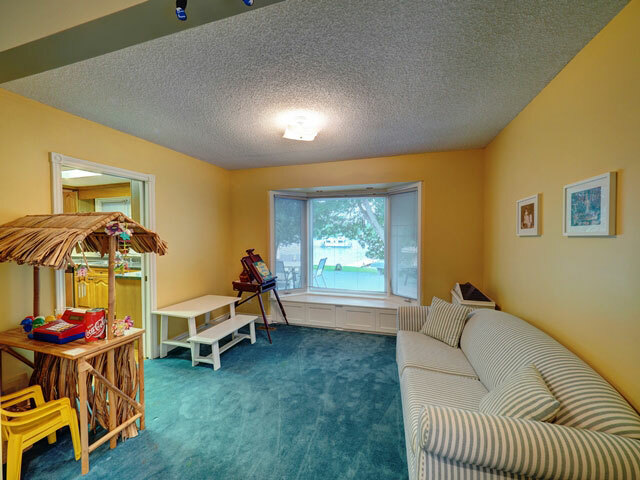 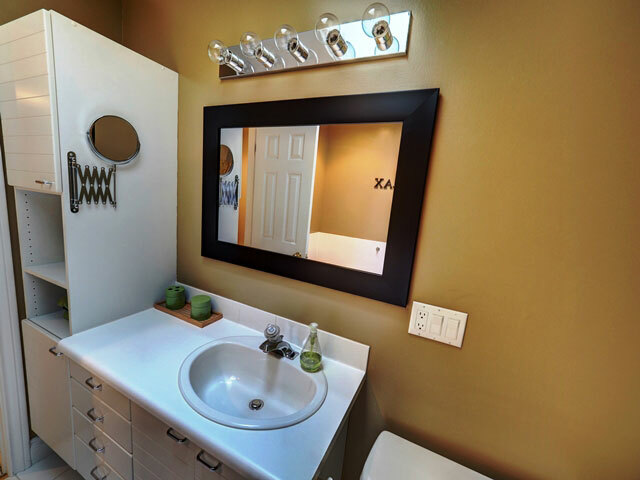 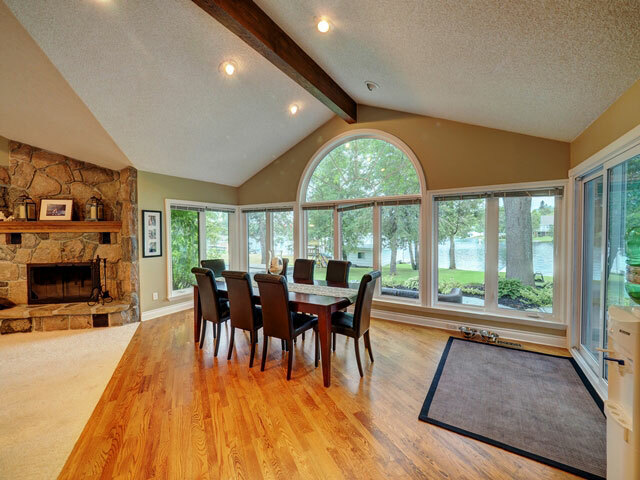 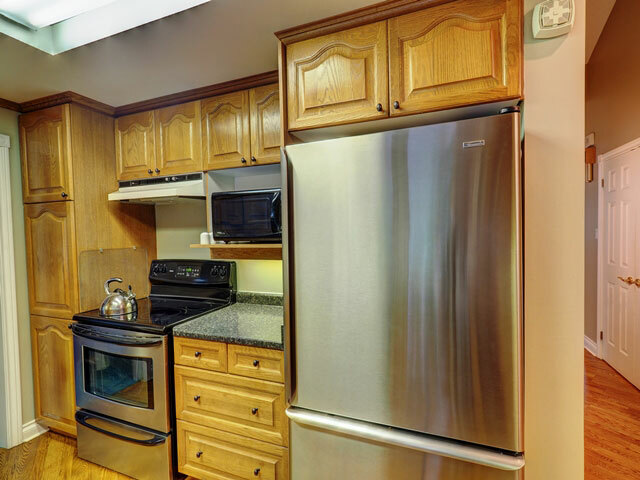 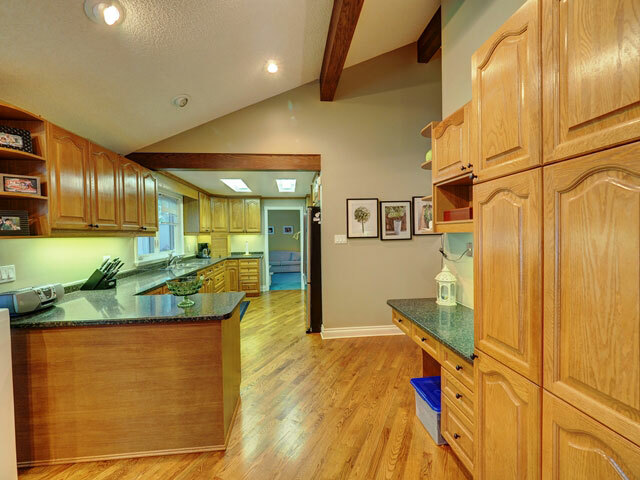 The property is completely turn-key, including all furnishings and a 19’ Tahoe boat.